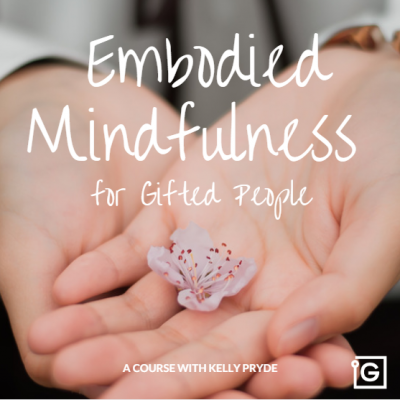 Learning how to love and be loved as a gifted person sometimes takes a conscious effort to overcome negative self-views we have of our own quirky, intense or otherwise uncommon nature. 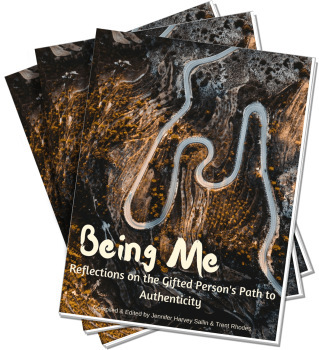 In this very personal story, InterGifted coach Sandra Pfluger shares how she transformed her painful feelings of 'gifted unworthiness' to a certainty that she deserves to be loved just as she is - and how you can do the same. "Maybe I'm not meant to have a lasting relationship," he said and I finally understood why we couldn't have become lovers. We were walking along the beach one summer evening, when our conversation drifted to love and romantic relationships, and the slim odds of their persistence. He knew that I was in love with him. With his statement, the clouds in my mind lifted. In that instant, it all made sense. But this isn't a story about unfulfilled love hopes of a 30-something woman. In fact, it is about experiencing love beyond condition. "If this is the belief you have about yourself, then that is what life is going to deliver to you," I responded. I didn't say it out of spite or disappointment. I said it because it is what I had come to understand about life. Whatever idea, notion or concept we hold about ourselves gets inscribed into the reality we create. Only when we let go of the concept do we change our reality. Or as Zen Buddhist teacher Thich Nhat Hanh wrote: "For things to reveal themselves to us, we need to be ready to abandon our views about them." At times, this belief was also reinforced by friends or family. When I had said it, part of me felt like a martyr. I had felt I had to sacrifice my wish so that other people could have the relationship I might not be granted to have. As if I needed to balance some cosmic law or repent for an unknown sin... And another part of me was scared that I would end up creating such a reality and indeed not have a lasting relationship. Can love grow out of martyrdom and fear? Hardly. WHAT'S WORTHINESS GOT TO DO WITH IT? Underneath this idea of not being meant for a long-term relationship lies another concept: worthiness. Because what we actually mean when we say that we are not destined to be in a lasting relationship, is that we feel we are not worthy of love. For whatever reason. For gifted people, it's often rooted in the expression of their intensity – their quirky, aloof, weird, exhausting or otherwise uncommon nature – which tend to be perceived negatively. The sense of unworthiness might not even be conscious. Most likely it is not. Either way, we have made it part of our identity. Oftentimes, when we think we don't deserve something (read: we are not worthy), shame is lurking in our blind spot, feeding our minds with the idea that we are "not good enough" (e.g. not living up to our potential, performing below standard, unable to save the world, unsuccessful at being there for everyone, etc.). And with this idea, we distort our very experience of life. As long as we hold on to that trait of our identity, we will not be ready to receive love that is sincere and deep. With our unworthiness in the (subconscious) lead, we will only accept the love we think we deserve. Moving towards genuine love is too risky, too threatening. That is why we sometimes turn away from love. We even run from it because its beauty terrifies us. I know I ran in the past. Only much later was I able to acknowledge that I felt frightened by the love offered. Worthiness, however, isn't something that is given to us or that we have to earn when it comes to love. We all deserve to be loved. Today! Even if we think we are too much of this (smart, principled, sensitive, idealistic, critical, fast...) or not enough of that (successful, pretty / handsome, funny, rich, settled, accomplished...). It is our task - and ours only - to honour that worthiness in us, whether we transform our shame into dignity or we transcend duality altogether. As we left the beach that day, the irony struck me. He was the one struggling with his worthiness, when in fact, his presence in my life had helped me claim mine. It might not have happened, had the affection been mutual. I would not have hesitated to be with him, had he made advances. Would I have been ready to be in a healthy relationship when we first met? I'm quite certain the answer is no. I liked him from the beginning. But instead of rushing in, of pushing for things to move into a specific direction, of attempting to control the outcome, I allowed myself to go slowly. I told myself to focus on the delight (of getting to know him) rather than on the dread (of potentially being rejected). Because when we spent time together or corresponded otherwise, there was utter delight and true connection. There was recognition in the mental intensity and our craving for depth. Observing how his mind worked (and played) was a source of continued fascination. And there was resonance in our sensitivities, in the need for discovery and our existential yearning. Taking it slowly was a completely novel experience. There is such beauty in letting a tbd-ship evolve gradually. I was able to turn off the clock that I always heard ticking at the back of my head whenever I met someone fitting my "potential boyfriend drawer." To just be in the present moment with that person. Going slowly gave me the opportunity to hold space for myself and to learn to express my inner world. It also provided room to check the potential I saw in each of us and in ‘us’ against reality as I was going along (you know, keeping my ever inventive mind of mine in check). Not that the dread was absent! Far from it. I observed how strongly it activated my emotional and mental systems. And the hyperactivity brought something crucial into awareness: Whenever I became present with my anxiety, fear, shame and despair of "not enough" or "too much," I realised that these emotions had nothing to do with him. Nor with something he had done or said. They were reproductions of past experiences with other people (former lovers, parents, and social relations in general). I relived them in the present and my mind tricked me into thinking that they were about him, when he merely triggered them. Similarly, I saw that my mental patterns were projections of bygone situations into the present or even the future. They felt utterly real! When we had plans to meet, I thought he was going to change his mind and cancel. When I shared experiences, I was certain he would think me overly sensitive or otherwise too intense. But again, these past instances were not related to him, he only activated my memory of them. Not rarely do past situations fuse into conceptions in our subconscious and, over time, establish themselves as fundamental viewpoints. “Men are weak and stupid,” was the conception (actually a 2 in 1) that surfaced into my awareness. I would have fought such a view vehemently earlier and I was in shock over the discovery. For days. I hurt for the part of me (my inner child) that needed this belief to reduce the incomprehensibility of certain life experiences. I didn’t want to see men in that way! Had the past indeed ruled my reality as I experienced it all this time? Had it determined my sense of (un)worthiness all along? And had I based my behaviour on that reality? If that was the case, then I frankly wasn't ready to be with anyone. Or let anyone be with me! Like Thich Nhat Hanh in poetic clarity put it: "Loving someone without knowing how to love hurts the one we love." I wanted to determine my own reality. It was time to "rumble with my story" as Brené Brown would put it. Much of my rumbling has been done in quiet solitude, bringing thought patterns into awareness, letting go of emotions and 'rewriting' parts of my story by reconceptualising events. My earlier gifted coaching was an invaluable map in navigating that journey. Some of these rumblings have turned into blog posts. Writing can be very cathartic. When it comes to love, however, part of the discovery can only be done with another who mirrors our behaviours and supports us in building trust in ourselves. He was that person for me even if we weren't in a relationship (though, in retrospect, it often felt that way to me). With such a person we can learn and we can heal. The more I was able to let go of emotional and mental baggage that didn't serve me anymore, the more I was able to see him in a light untainted by my past experiences. Because the thing with these past experiences is this: It fuels expectations and makes demands. It is the habit of ego. In that untainted light, I found that I could give love beyond conditions. Love that is based on the simple yet profound appreciation of someone's being. It is a remarkable gift even if that love is rejected in the end. It is the paradox of this experience: Yes, the rejection stung, but I didn't feel the urge to fight it. Days after only, I realised that my demons hadn't come out to plague me. No ruminations about why he hadn't chosen me, or what I had done wrong or how I should be different. The serenity! Now, looking at the snow-covered trees outside my window I know that I'm able to love fiercely, with an open heart, and that I'm ready to receive that same kind of love. Once we have met ourselves at that depth, we can meet others the same way. Even if it might seem rarer to encounter that kind of love, it feels more likely than ever before. ‘Holding space’ means allowing yourself to pause and giving yourself room to turn inward. It means taking time to bring thoughts and emotions into awareness, to then consciously choose how to move forward. There are numerous ways you can hold space for yourself. Keeping a journal of your experiences or visualising them more abstractly (mind maps, sketches, drawings, etc.) is one of them. Any kind of contemplative practice such as meditation or aware breathing is another one. 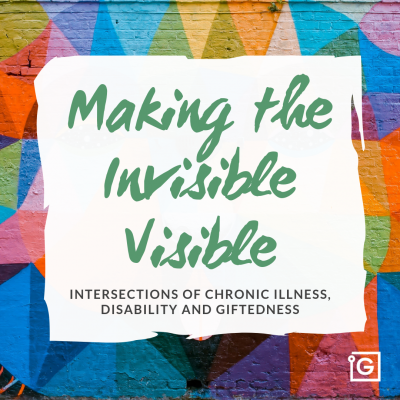 Connecting with your body through yoga, walking or exercise in general can yet be another. Find what works best for your also as a combination and develop a habit around it. In that space, whether on the pages of your journal or drawing block, on the yoga mat, the running trail or the tennis court you can bring mental and emotional patterns into awareness. There you can safely (not necessarily comfortably) look at them. As a complement, I have always found it very useful to read up on the issues that presented themselves in that space. Holding space for yourself is essentially about gaining a better understanding of yourself so you can begin living based on that understanding. Having said that, holding space is a skill that for many doesn’t come easily at first. For this reason, reaching out to a coach who is knowledgeable about giftedness can be a source of tremendous support and profound insight. Such a coach knows how to create space and help you understand your unique mental and emotional inner workings. 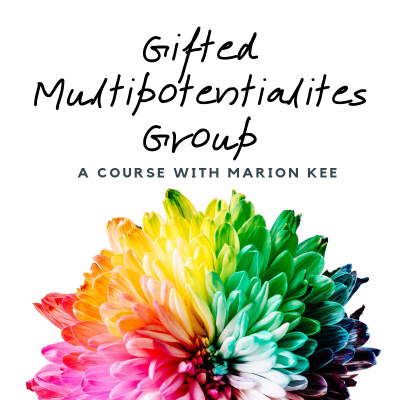 You may also find a tremendous amount of space to explore your gifted self in one of InterGifted's workshops (especially as it relates to relationships, Karin Eglinton's workshop on 'Wholeness Based Relating for Gifted People') or in our peer community. However you you'd like to explore moving towards greater self-understanding and more conscious living with dedication, I warmly invite you to get in touch with me. Sandra is a career and life coach for gifted people. 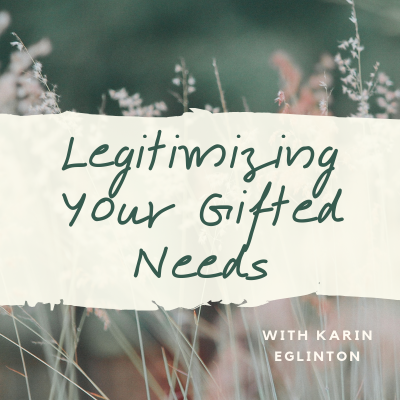 She lives in Estonia and coaches academics, researchers, and young gifted professionals all over the world for personal and professional fulfillment. Feel free to get in touch with her to schedule a session! I sat reding this and am so aware of the deepest most overwhelming grief filling and over spilling. I came to the conclusion that for me, there is no such thing as the love I have craved all my life. now, I have to accept, I am wrong. Yet, the impact of that is something I have to work through, because that does not only change my world view, but would I dare to discover more, since that directly impacts upon others too? I’m so glad that my article opened you up to the possibility of finding the love that you have craved for so long. You truly deserve it! Letting go of a worldview that is no longer valid and creating a new one that reflects your worthiness is a brave undertaking indeed. Is there any other way to honour yourself though? And how would that impact others? Sending you thoughts of courage!